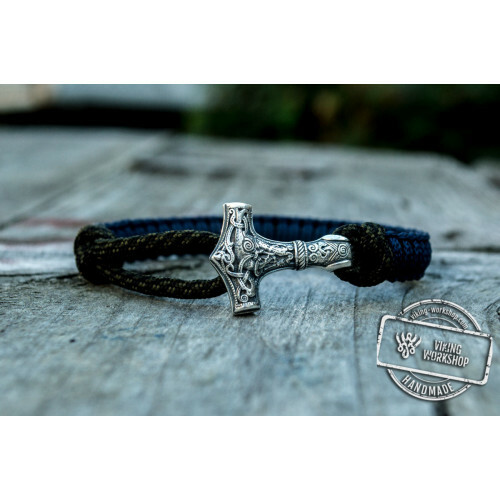 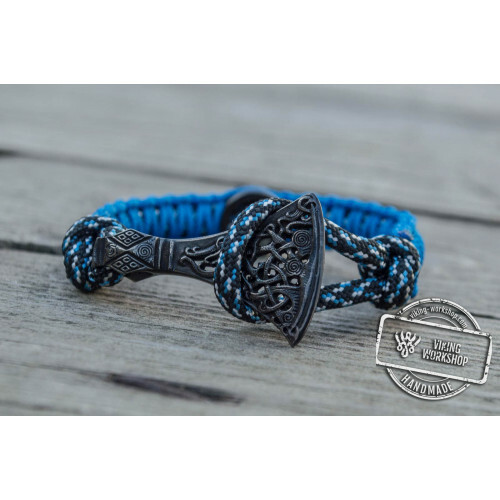 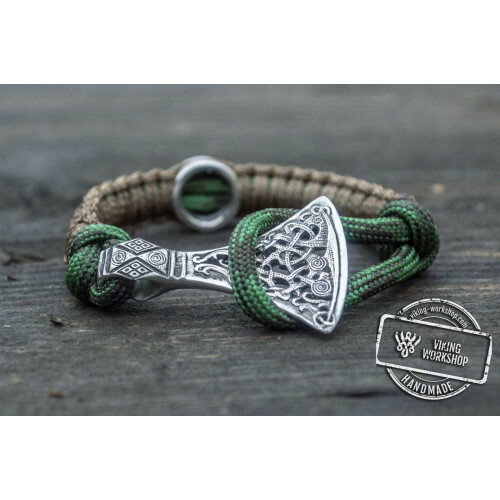 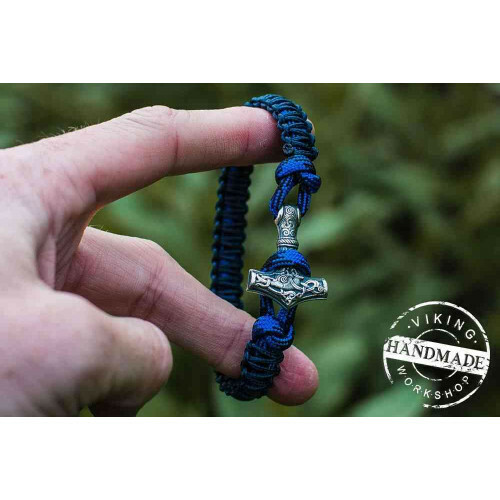 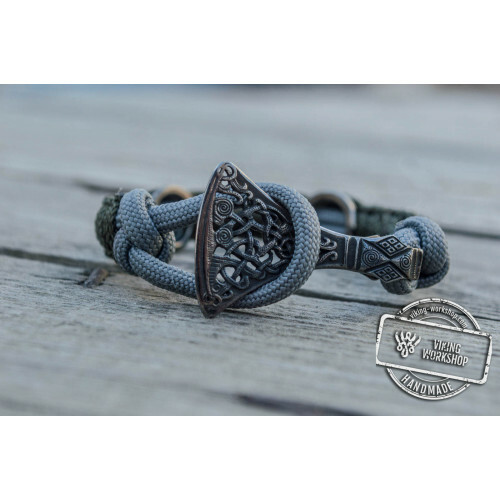 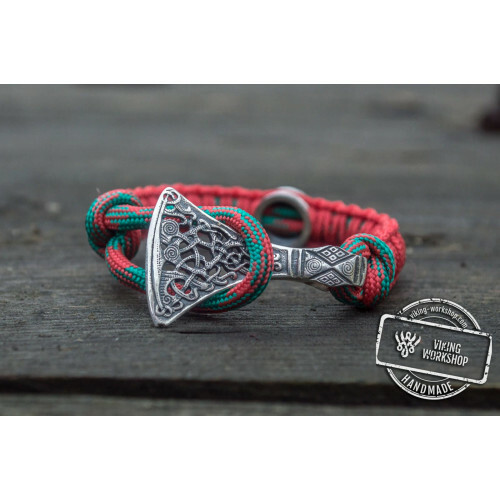 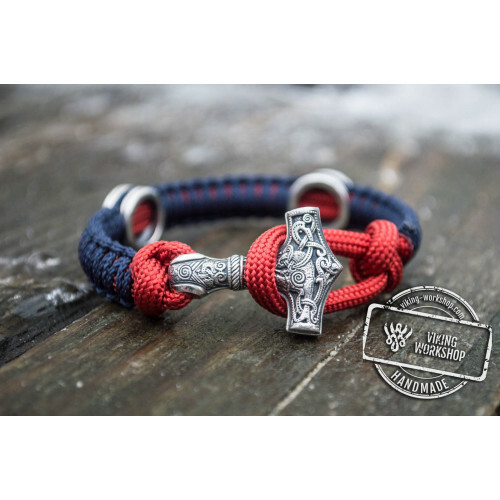 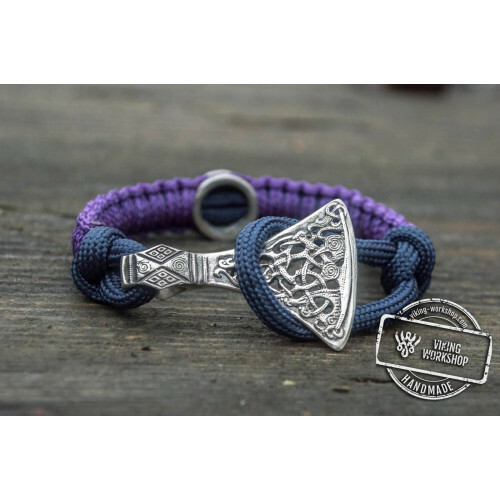 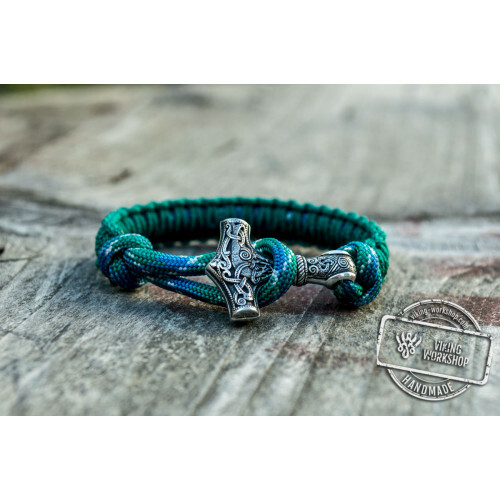 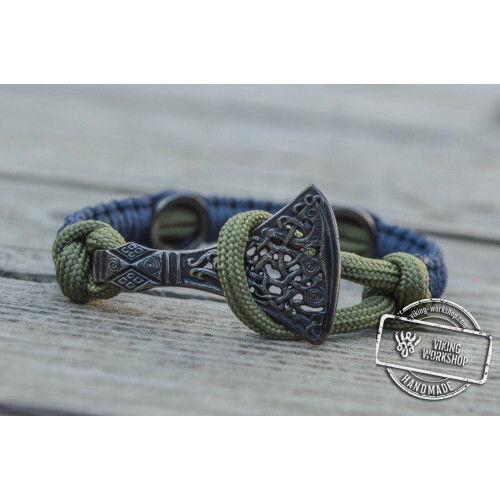 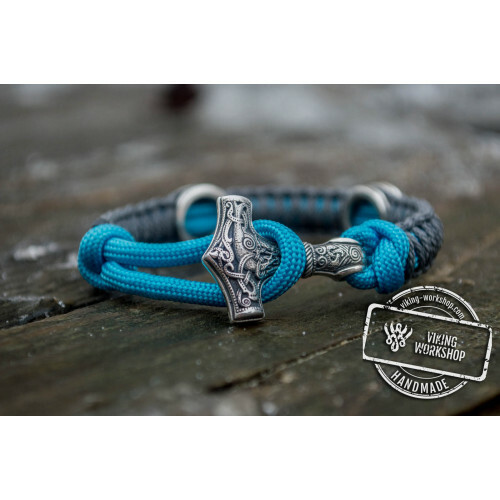 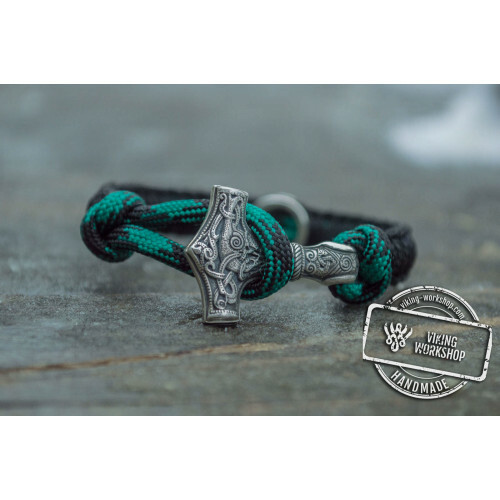 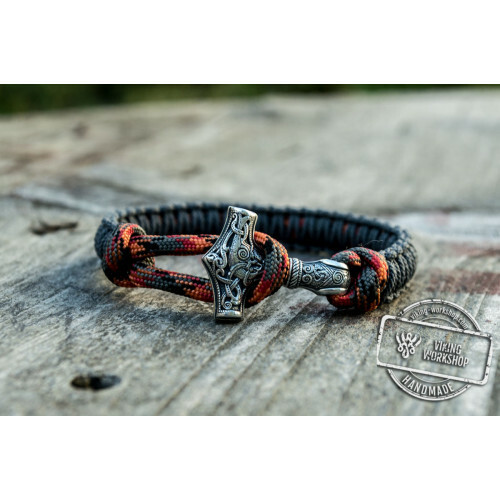 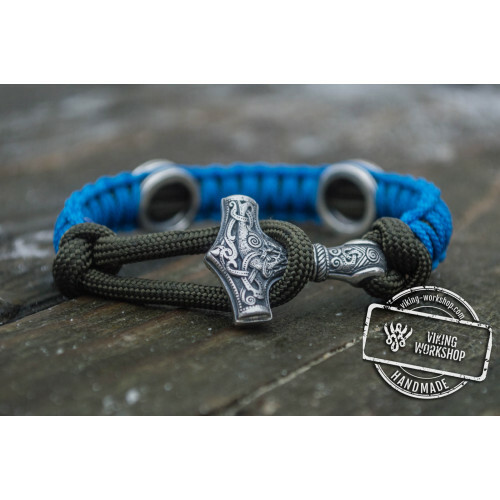 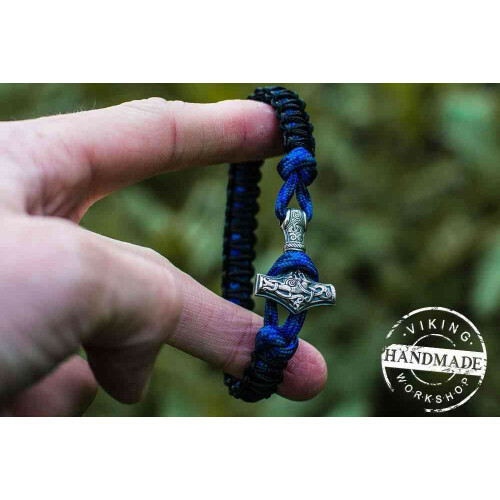 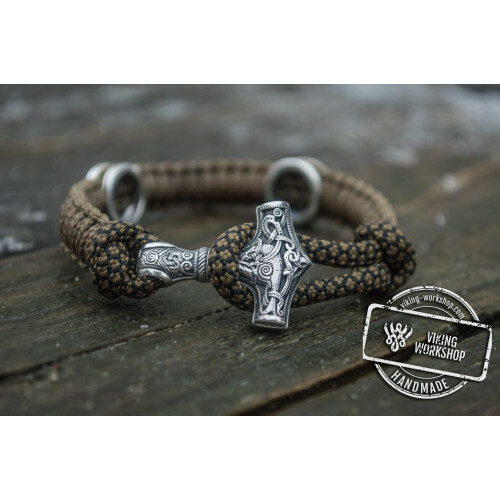 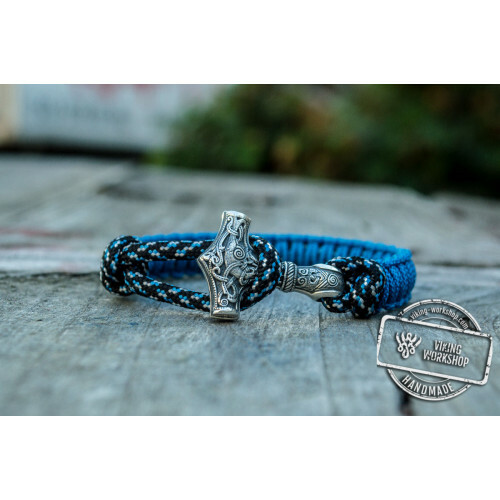 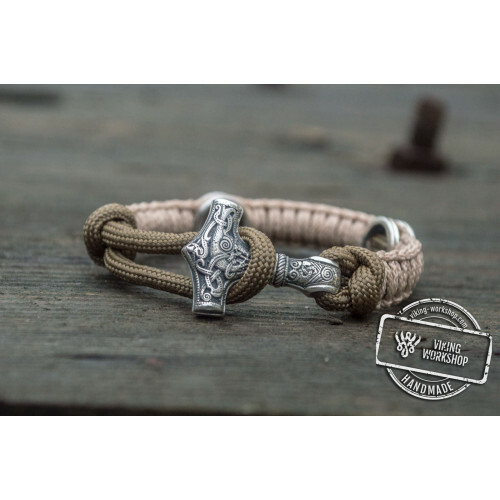 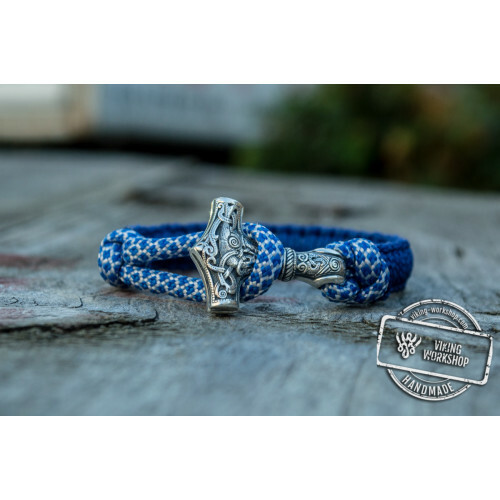 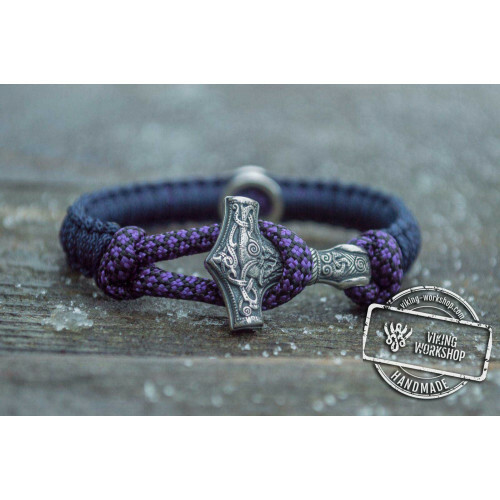 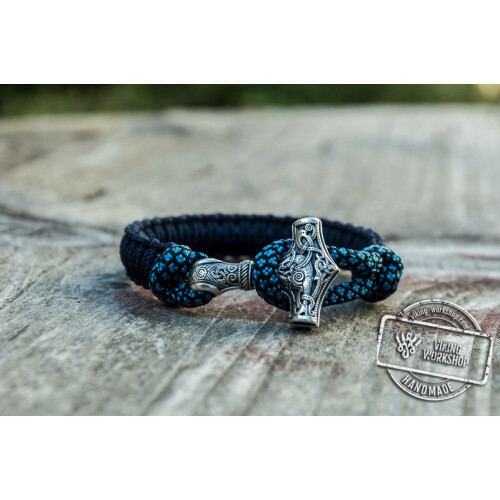 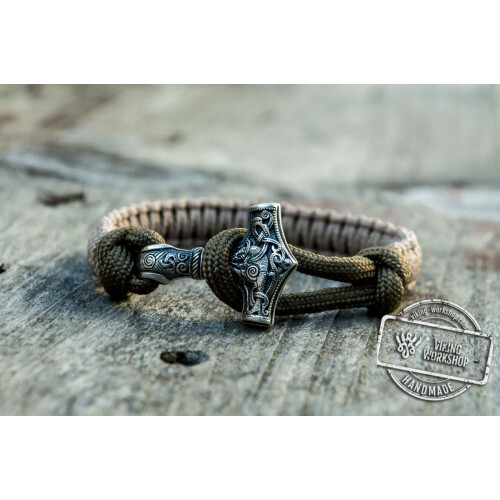 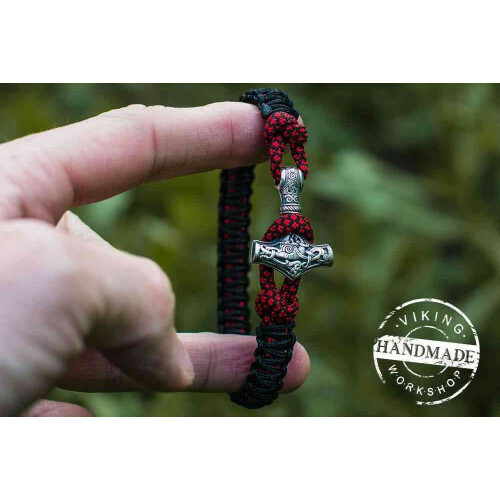 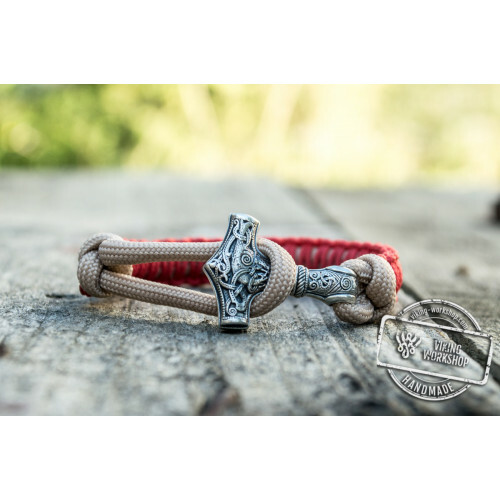 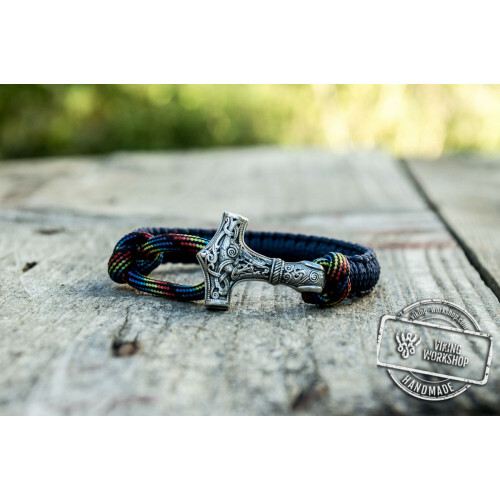 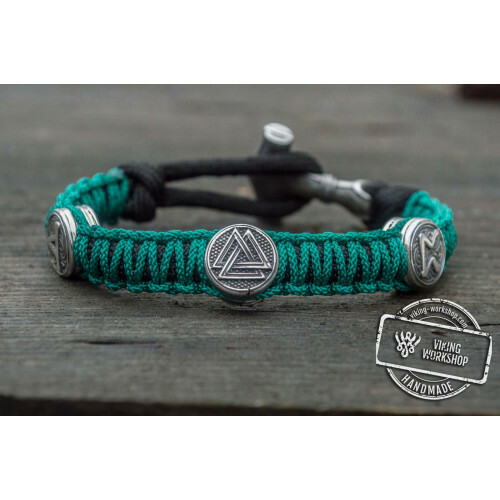 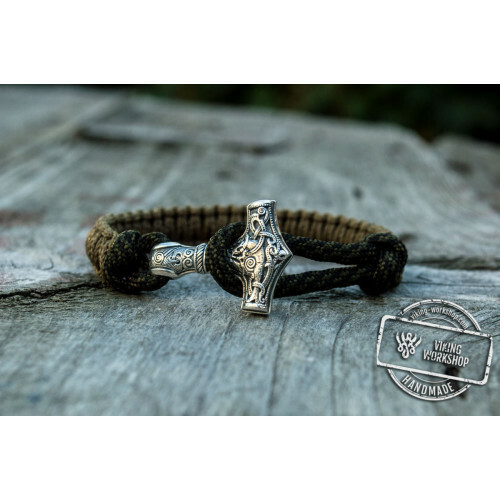 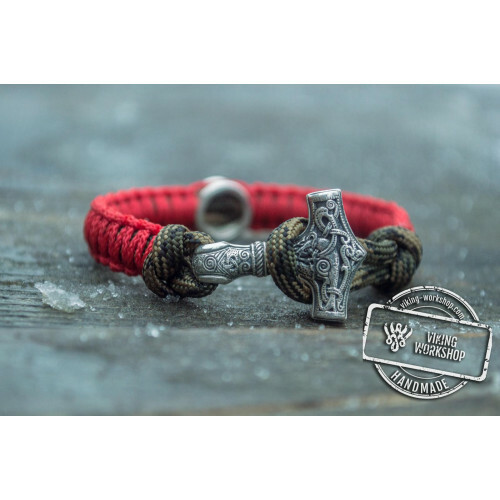 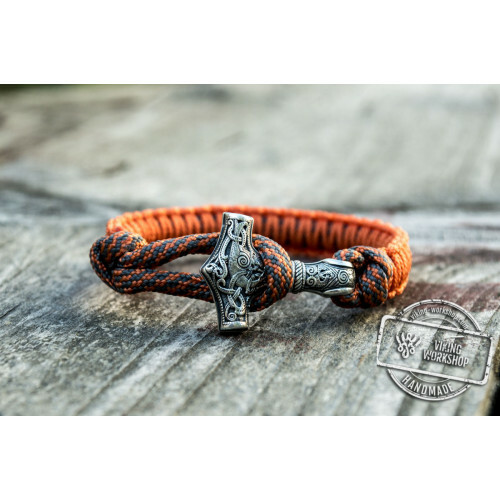 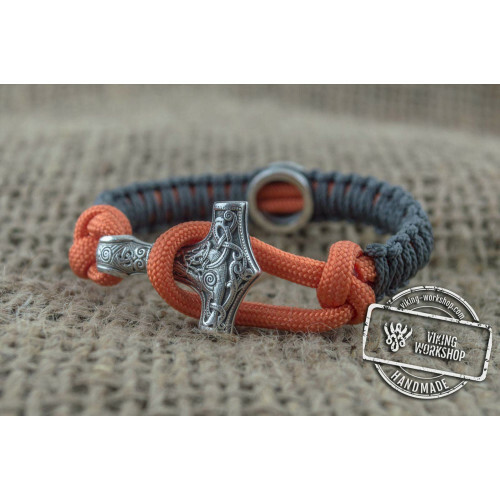 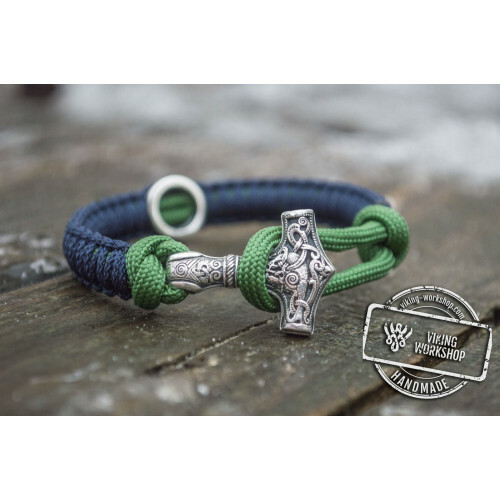 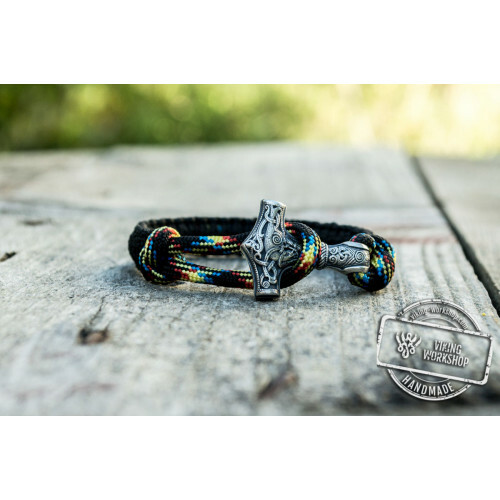 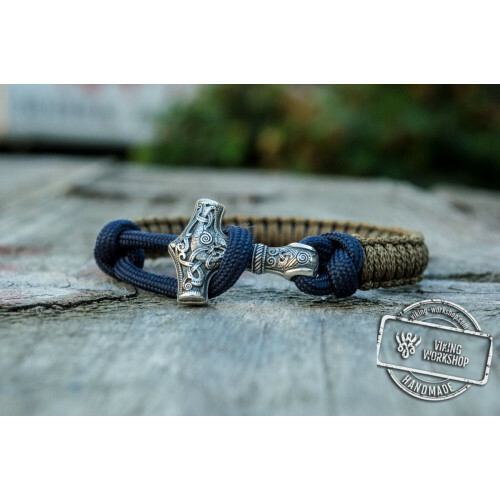 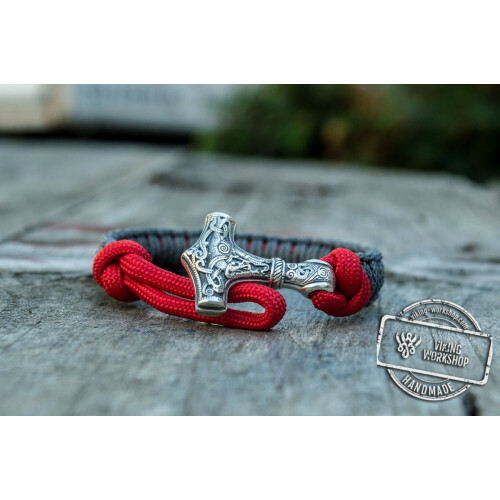 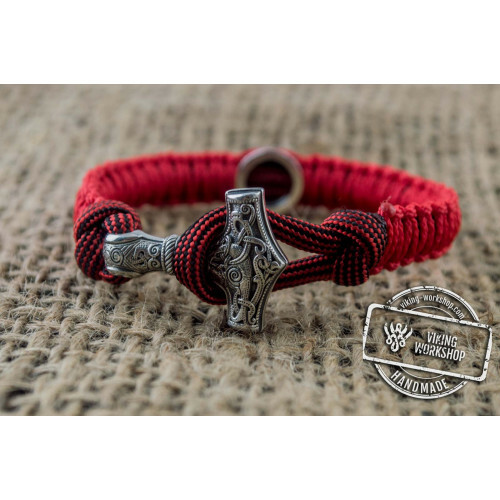 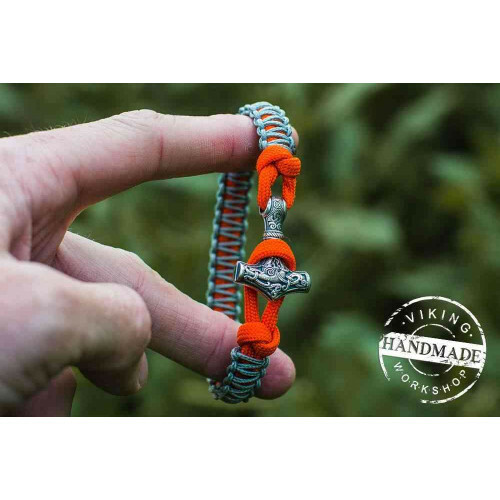 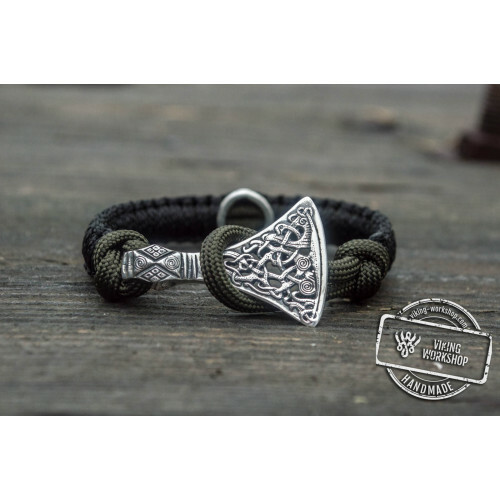 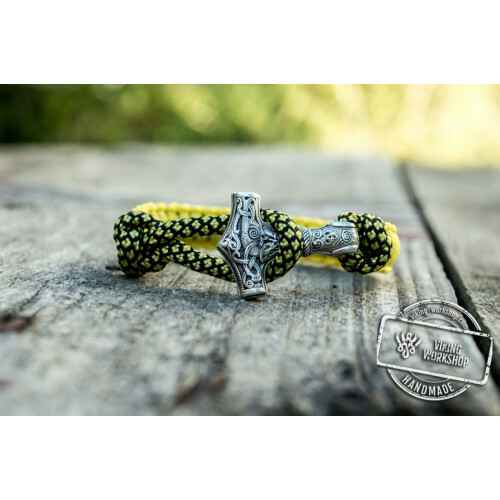 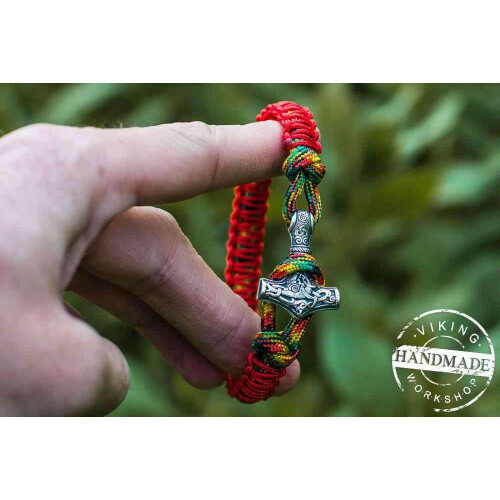 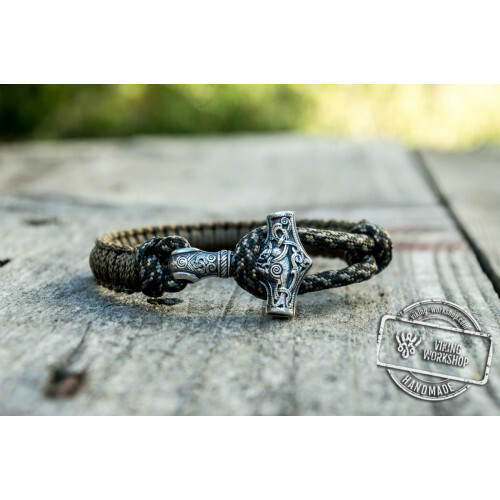 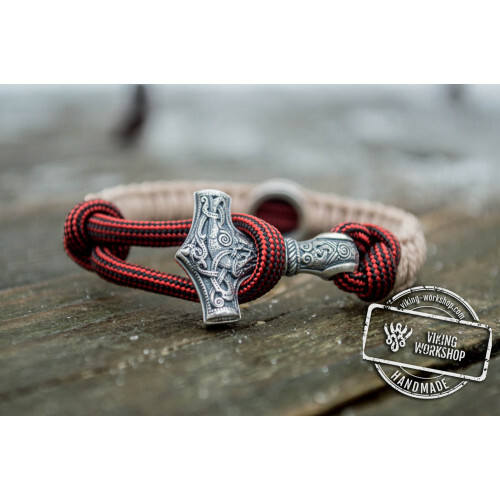 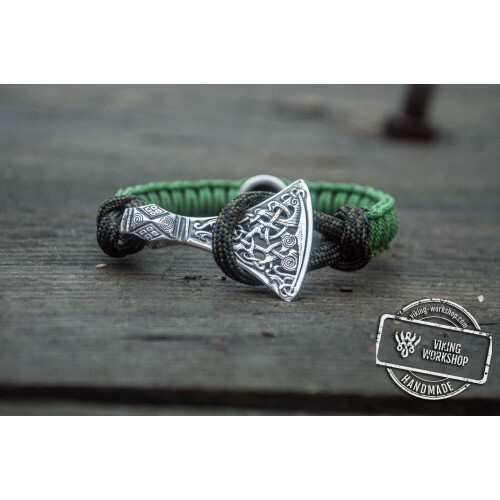 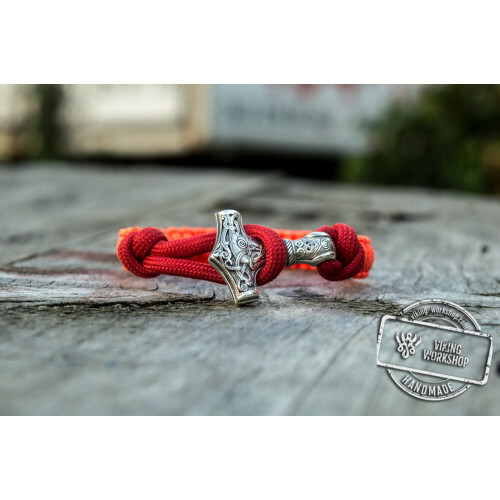 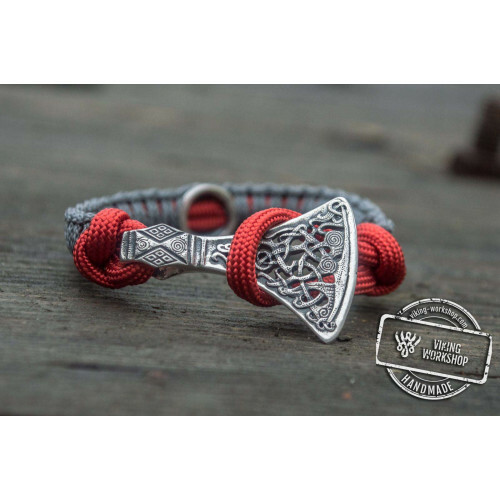 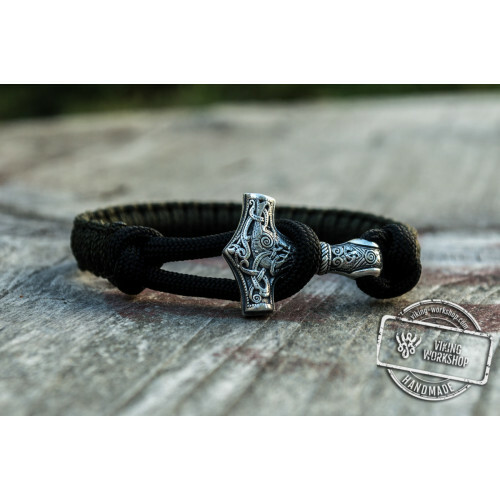 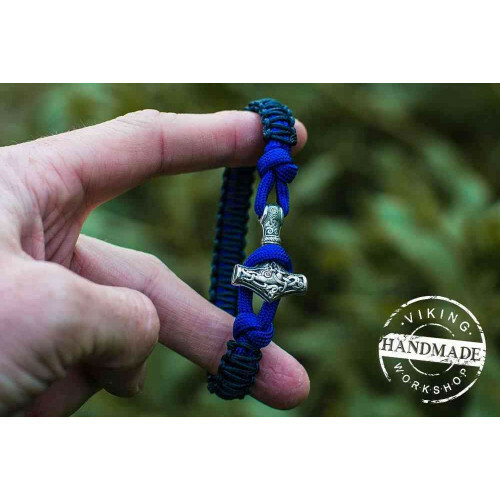 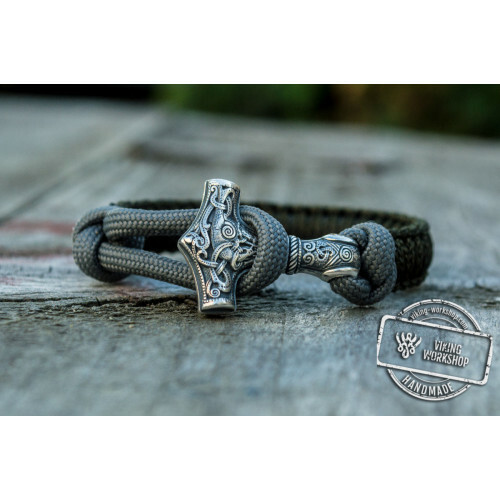 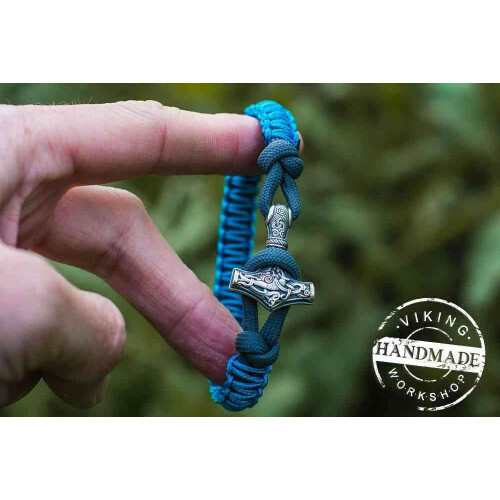 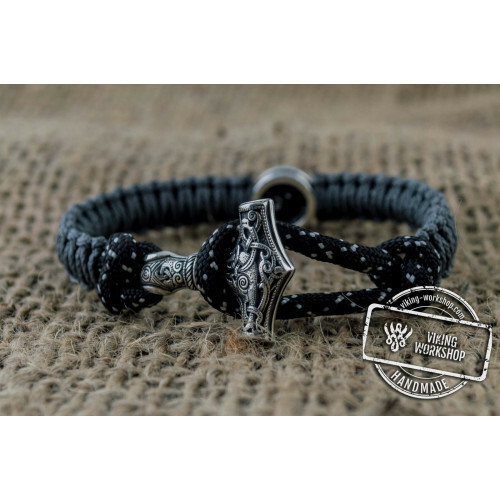 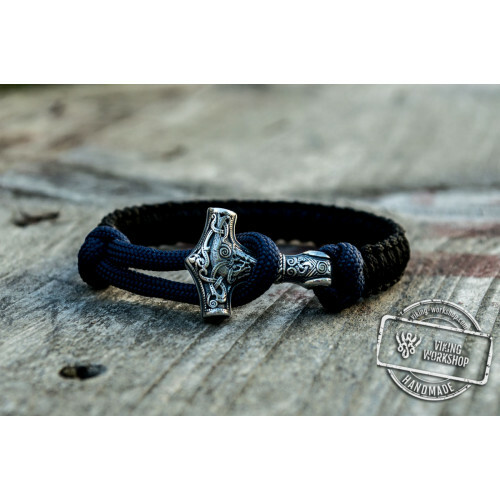 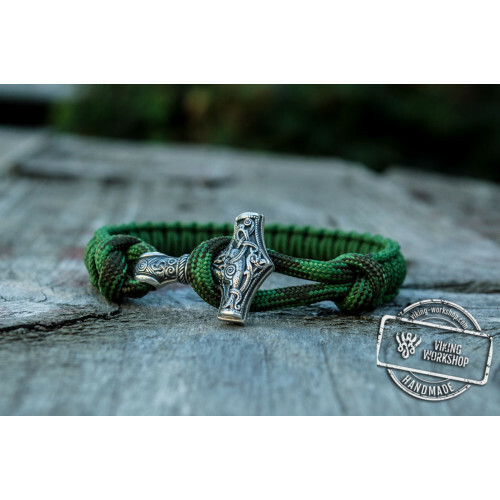 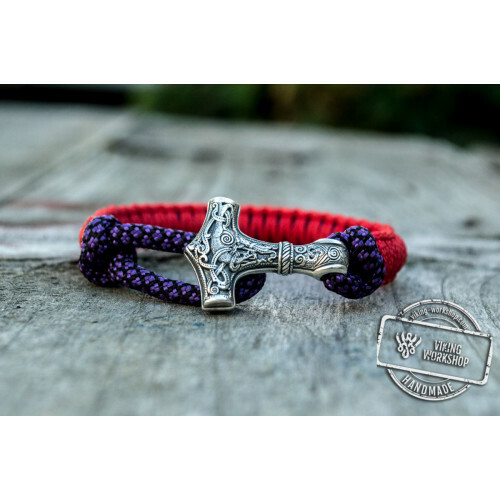 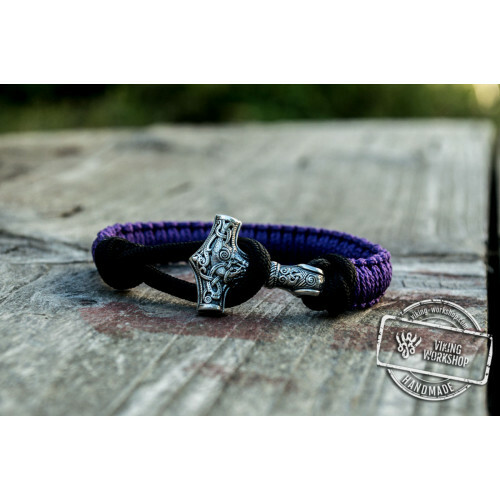 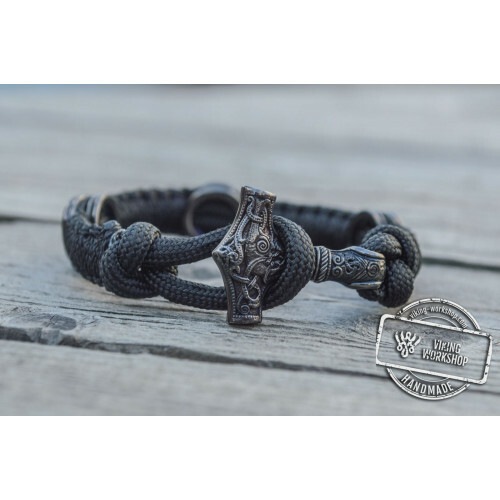 Cute paracord bracelet is added with a powerful protective symbol – Thor's Hammer. 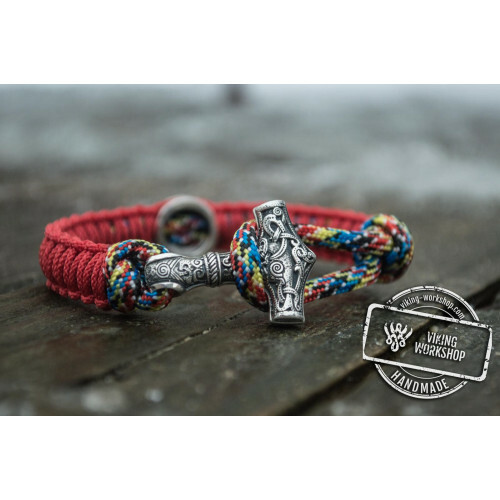 It was said in legends that the hammer had amazing ruining and defeating power and was always back to his owner if thrown in the enemy. 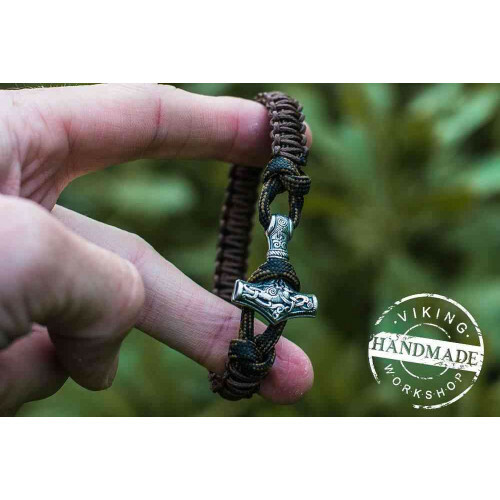 This is a modern interpretation and stylization of the ancient Viking jewelry. 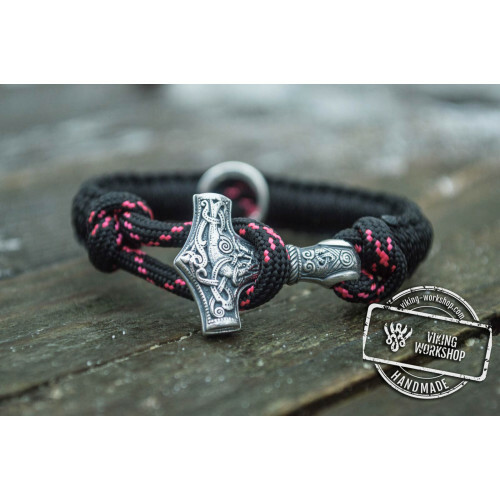 Pink color is vivid, energizing and inspiring. 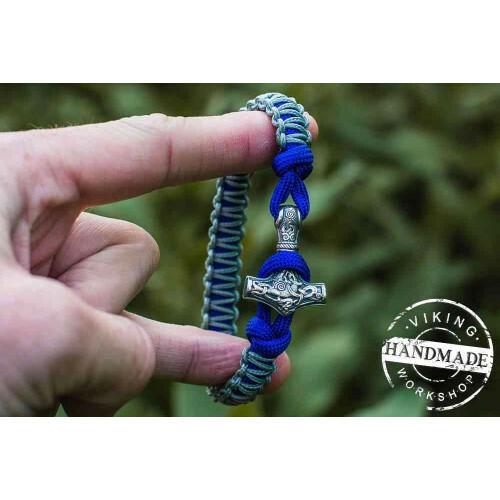 High quality US paracord is used for this bracelet. 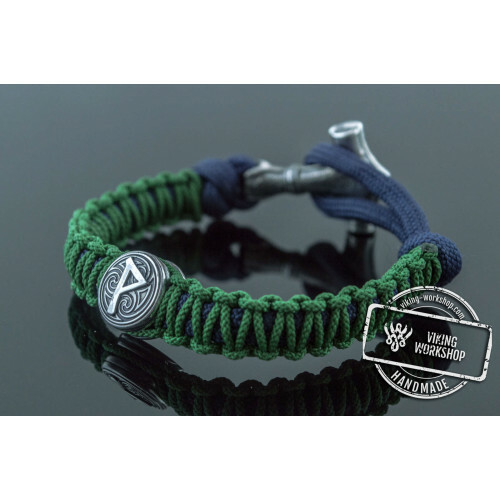 The cords are securely interwoven and will not unbind during wearing. 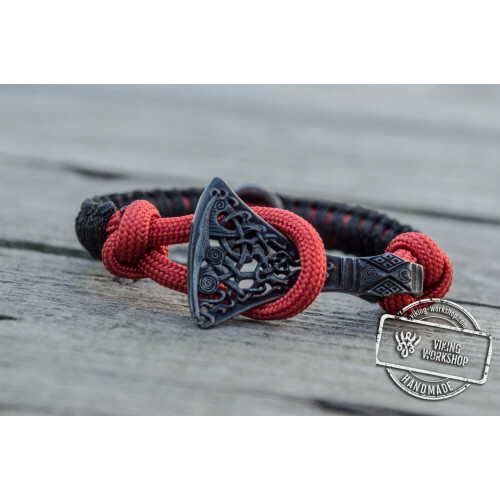 The bracelet does not require specific maintenance and will not change its look over time. 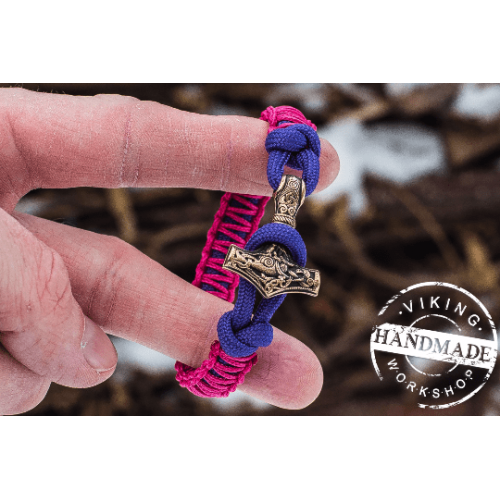 Though the Thor's Hammer was considered to be a manly protector, still in this interpretation in pink bracelet it will be a perfect gift for a girl.